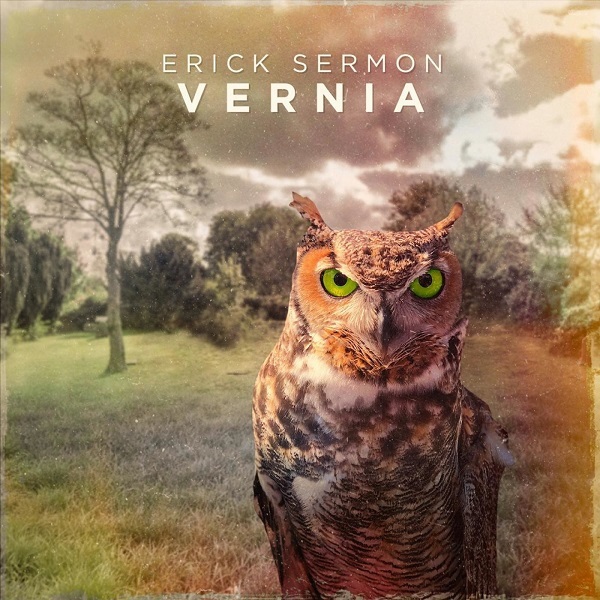 The Green-Eyed Bandit has been teasing this project for what has seemed like forever, but fans can finally breathe easy now that Erick Sermonhas dropped off Vernia. With three decades under his belt, Sermon takes hip hop heads back to the block with a refreshing record that highlights the art of freestyling, lyricism, and beats that reverberate the heart of inner-city streets. The features on Vernia are just a who's who of hip hop including artists like Raekwon, Too $hort, Xzibit, David Banner, No Malice, Keith Murray, Devin the Dude, Rockwilder, AZ, Ty Fyffe, and even Shaquille O'Neal who brings his Diesel rhymes on the collaboration, "Zion." The EPMD rapper created a piece of art that's a vibe from beginning to end with productions from Ty Fyffe, Boogeyman, Battlecat, Rockwilder, Apathy, and Kanzer. The rap legend lets listeners know exactly what he thinks about the current state of hip hop on "The Game" where he spits verses before asking, "Where did the game go?" Much like his previously released single "My Style" where he raps "Guess who fathered your style," Sermon is back with record deserving of attention while demanding respect. 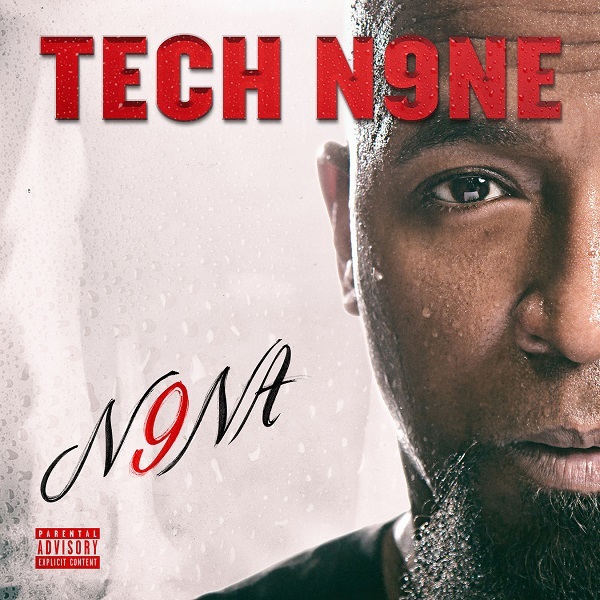 N9NA este cel de-al 21-lea album solo al lui Tech N9ne și a fost lansat în data de 19 aprilie 2019, prin Strange Music. Lansat pe 19 aprilie 1998, tot prin Cat Music / Media Services, single-ul “Pentru ‘98” este cel de-al doilea single extras oficial pe suport fizic de BUG Mafia, primul fiind “Hoteluri” in 1997. “Pentru 98” este extrasa de pe albumul “De cartier”, lansat pe data de 20 septembrie 1998 si este in colaborare cu July si Andreea. Illmatic este albumul de debut al lui Nas și a fost lansat în data de 19 aprilie 1994, prin Columbia Records, unde a ajuns cu ajutorul lui MC Serch care este și producătorul executiv al albumului și a fost înregistrat în perioada 92-93, la studiourile Chung King Studios, D&D Recording, Battery Studios și Unique Recording Studios în New York City, piesele fiind produse de Nas, Large Professor, Pete Rock, Q-Tip, L.E.S. și DJ Premier. Albumul a debutat pe locul 12 în topul Billboard 200 cu 59 000 de unități vândute. În ciudat faptului că albumul nu a avut parte de un număr mare de vânzări, a primit foarte multe laude din partea criticilor, iar în data de 17 ianuarie 1996, albumul a fost aur de Recording Industry Association of America, iar în 2001 platină, depășind 1 milion de unități vândute. "Memory Lane (Sittin' in da Park)"
"At My Most Beautiful" by R.E.M. "One Love" is a song by American rapper Nas, released October 25, 1994 on Columbia Records. It was issued as the fifth and final radio single in promotion of his debut studio album Illmatic (1994). The song was produced by Q-Tip of A Tribe Called Quest, who also contributed vocals for the chorus line. According to Nas, the title of the song originates from Jamaican singer-songwriter and musician Bob Marley's song of the same name. "One Love" is composed as a series of letters by Nas to his incarcerated friends, describing events that have occurred prior to and after the receivers' imprisonment. "One Love" contains samples of the Heath Brothers' "Smilin' Billy Suite Part II" (1975) and Parliament's "Come In Out the Rain" (1970). In the song's first verse, Nas references fellow Queensbridge emcee Cormega, whose rapping career had been put on hold due to his incarceration during the early 1990s. In 2008, VH1 named "One Love" the forty-eighth greatest hip hop song. "The World Is Yours" is a 1994 song by rapper Nas. It was the third single from his debut album Illmatic, released a month after the album. It is considered by some music critics one of the greatest hip-hop songs ever recorded; About.com ranked it seventh greatest rap song of all time. The song was produced by Pete Rock—who also sings the song's chorus—and samples "I Love Music" by Ahmad Jamal and "It's Yours" by T La Rock. It reached #13 on the Hot Rap Singles chart in 1994. "Jealousy Woes II" by Eminem. "In Remembrance" by Blu & Exile. "Falling" by 1982 featuring Freddie Gibbs. "Dead Prez" by Capital STEEZ. "Nikes On My Feet" by Mac Miller. "The World Is Yours" by The Visioneers. "My World (Nas Salute)" by Jay Electronica. "The World Is Yours (Blazo Remix)" by Blazo. "The World Is Yours / Brooklyn Zoo" by BadBadNotGood. Jay-Z's sample on his song "Dead Presidents", using one of Nas's lines ("I'm out for presidents to represent me") as the chorus, indirectly led to the Jay-Z vs. Nas feud, after Nas refused to re-record his vocals for the Jay-Z song, or to appear in the accompanying video. "It Ain't Hard to Tell" is the second single and last track from the debut album Illmatic by the rapper Nas. Although the track was technically the second single on the album, it was the first single to be released after the album was pressed in 1994. The first single, "Halftime," was released two years prior to Illmatic‍ '​s debut. "It Ain't Hard to Tell" was produced by Large Professor, the song samples Michael Jackson's 1983 hit single "Human Nature", "N.T." by Kool & the Gang, "Why Can't People Be Colors Too?" by The Whatnauts, "Long Red" by Mountain & "Slow Dance" by Stanley Clarke. The single reached #91 on the Billboard Hot 100 chart. In 1991, Nas recorded a demo tape for Columbia Records, featuring the original version of "It Ain't Hard to Tell" named "Nas Will Prevail". This version is roughly 90 seconds longer, includes longer different verses, and has a more subdued, jazzier beat close to the album version. Pitchfork Media's included the song at number 28 on their Top 200 Tracks of the 90s. "Halftime" is the 1992 debut single by American rapper Nas, released under his original moniker of "Nasty Nas". It was originally recorded for the Zebrahead soundtrack album, released October 13, 1992, on Ruffhouse Records. "Halftime" was produced by Large Professor and features samples from "Schoolboy Crush" by Average White Band, "Hawaiian Sophie" by Jaz-O, "Soul Traveling" by Gary Byrd, and "Dead End" by Japanese Hair. The song was later included on Nas' influential 1994 debut album, Illmatic. "Halftime" features an up-tempo beat led by percussion and trumpets over which Nas rhymes. Memorable lines include "You couldn't catch me in the streets without a ton of reefer/That's like Malcolm X, catchin' the Jungle Fever" and "I'm as ill as a convict who kills for phone time." Nas also uses this song to give a "shout-outs" to Willie "Ill Will" Graham, Nas' childhood neighbor and best friend, who was shot dead on 1992, and the Queensbridge Crew, a reference to the Queensbridge housing projects in Queens, NY, USA. He also reveals he's a fan of Marcus Garvey, the Jackson 5 and Mr. Magic.